In 2004 celebrated perfumer Yosh Han founded the company YOSH. Using ingredients from all over the world, each perfume is designed with principles of chakra energy and numerology. 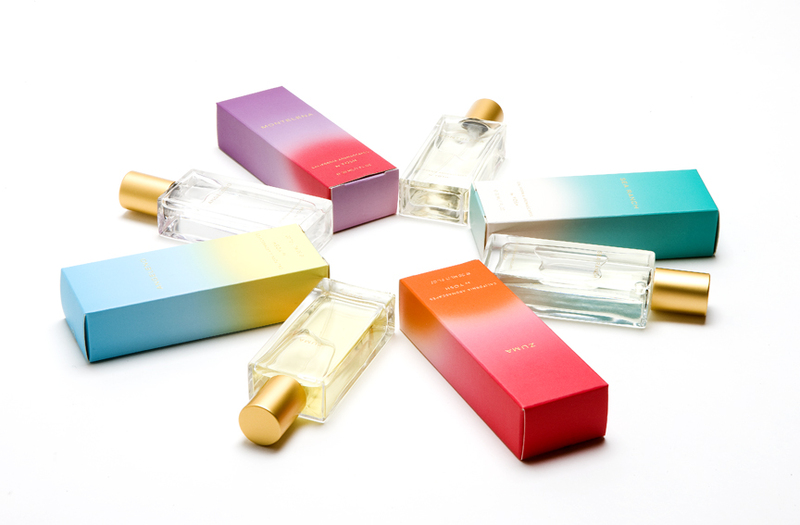 Inspired by the French word sentir (meaning “to feel and to smell,” or “to activate the olfactive and intuitive senses”), YOSH perfumes accessorize your inner radiance. These perfumes can be found at exclusive retailers and haute parfumeries throughout USA, Europe, Asia, and the Middle East. To celebrate 15 years in business, YOSH is launching a new collection. The Eau Fraiche collection is inspired by YOSH extrait perfume oil originally launched in 2004. All scents match the tastes and styles of the modern fragrance lover. We invited Givaudan perfumer Rodrigo Flores to create the fragrances for this stylized collaboration. Luxury Elements Collection, a series of six parfum extrait oils in 8ML French flacons inspired by chakra energy. Retailed exclusively at Barneys New York and Fred Segal. Evanescent Collection, a series of six eau de parfum 50ML. Sold internationally at Barneys New York and through Campo Marzio 70 and KSAR in Germany, and in 2011 with DAIDO in Japan and Emerging Beauty in UAE. Sombre Negra, dark and smoky men’s fragrance. Nominated for Best Fragrance by Global Art of Perfumery, Germany. California Aromascapes, a collection of four fragrances inspired by Southern and Northern California. Angeleno, Zuma, Sea Ranch and Montelena. König, men’s fragrance inspired by the Bavarian Forest that won the inaugural Art and Olfaction Award, independent category. Co-created with French perfumer Olivia Jan.
Yosh wins best perfume for König, in the Independent category at the Art and Olfaction Awards.